We returned to co-host Catbird’s Sunday Roasting beside James Begley of Hybris on the 10th of November 2013. 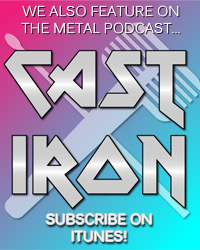 It was good to be back on the show after such a long break and despite not getting to play as much of our own choices as we did last time, we thoroughly enjoyed chatting rock and metal with Catbird and James. This entry was posted on Sunday, November 10th, 2013 at 16:55	and tagged with carcass, catbird's sunday roasting, corrupt moral altar, hybris, jamie lenman, limb, metal, radio, rock, total rock and posted in Total Rock. You can follow any responses to this entry through the RSS 2.0 feed.